PFLAG, the nation’s largest LGBT family and ally organization, recently released a heartfelt video about coming out — but there’s a twist. Though coming out is a scary prospect for many LGBTQ+ individuals, the coming out process, as the video mentions, also includes the parents of those individuals and their process of coming out as parents of LGBTQ+ kids. Titled #ParentsComingOut, PFLAG shows parents of LGBTQ+ kids coming out and sharing lovely messages of love and support to their children publicly at a Pride event. PFLAG hopes that this video can start a movement of #ParentsComingOut publicly on social media with similar messages of support for their LGBTQ+ kids and who they are. 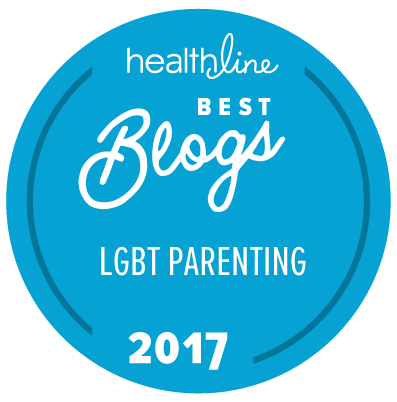 By creating a movement and a hashtag for others to join in, it may prove to other parents that there’s nothing to fear, they aren’t alone in experiencing the coming out process, and ultimately, supportive parents make for happier families. Mom Poses Question: What is More Valuable, Your LGBT Child, Culture, or Religion? Sign up for The Next Family newsletter for the latest news, articles and a chance to win a weekly giveaway.